Home News Who will rid us of this perfidious Prime Minister? Who will rid us of this perfidious Prime Minister? The reaction to Theresa May’s Machiavellian double-dealing (or betrayal, even treachery, if you prefer) over her Remain-By-Any-Other-Name plans for Brexit has been a flood of condemnation and outrage from Leave-supporting Conservative MPs, activists and commentators alike. After the high-profile resignations of David Davis and Boris Johnson, more have followed. Two deputy party chairmen have resigned, with one, Lewes MP Maria Caulfield, openly condemning May’s principal (and trusted to the point of gullibility) No 10 Brexit advisers as ‘a small cabal which holds Brexiteers in contempt’. At least one Leave-voting constituency is said to be initiating the de-selection of its Remain-voting Tory MP. The Daily Telegraph’s letters editor reports a level of reader anger not seen since the 2009 expenses scandal broke. Party constituency associations across the country report massive grassroots unrest and a deluge of membership cancellations, accompanied by vows never to vote Conservative again, at least while May remains leader, and physically destroyed membership cards. The polling numbers are horrendous for the Tories, and even worse for May personally. A large majority think May’s non-Brexit Brexit deal is both bad for Britain and doesn’t respect the Referendum result. A huge 75 per cent think May’s government is handling Brexit badly and 43 per cent think May should go, now. Labour is back in a 2 per cent poll lead. Were it led by a pro-proper-Brexit centre-Left moderate, instead of a 1970s-throwback hard-Left socialist, I suspect its lead would be into double digits. What irony: May, desperate to dilute Brexit to near-invisibility to appease her Remainer-dominated MPs and Parliament, in part at least from fear of ushering in a Corbyn government, is thereby making a Corbyn government more likely. Truly, she is a Midas in reverse, rapidly morphing into a political Miss Havisham. So, apart from the sadly large claque of loyalist Cameroon-Blairite-Remainer MPs – of whom more later, because their role will be crucial – and irreconcibly diehard Europhile Party members, it seems reasonable to assume that May’s immediate defenestration is the clear default wish. How that can be procured, however, is less clear. Some are calling for a vote of (presumably no) confidence. But this is an ambiguous phrase. Do they mean internally – the submission of 48 Conservative MPs’ letters to the Chairman of the 1922 Committee, triggering a leadership election – or a Vote of No Confidence debate in the Commons, which, if carried, would mean the fall of the Government and precipitate an immediate General Election, inevitably putting Brexit on hold? Take initially the internal process, governed by the Party’s election rules. This is fraught with real and potential obstacles. First, the party whips are reportedly pressuring disaffected MPs to refrain from submitting letters, or even withdraw any already submitted, either citing the usual bogeyman of ‘letting Corbyn into No 10’, or hinting that they’d stand a better chance of removing May if, as expected, further concessions are made to Brussels. Second, May has already indicated that she would contest a fresh leadership election. Whether this is attributable to merely the tin-eared stubbornness and lack of sensitivity for which she is rightly infamous, or something altogether darker, an anti-democratic, Euro-fanatical desire to have Britain not leave the EU in any meaningful sense, is debatable. Third, given the experience of 2016, it is likely that the Remainer-majority Parliamentary party would do anything to prevent the contest going out to the membership to elect a pro-proper-Brexit leader, because it seems inconceivable that a Remainer could win a whole-membership ballot in the current fractious anti-May mood. Fourth, with an estimated 185 Remain-voting Tory MPs against an estimated 138 Leave-voters, and with the pro-proper-Brexit vote possibly split between two or more candidates, May might actually win quite comfortably, even with MPs for marginal constituencies fearing for their seats. If she won so decisively, we’d arguably be even worse off than we are now. Slightly better, but not much, would be if (assuming some honourable Remain-voting MPs nevertheless think the Referendum result must be respected, and May won’t) she won narrowly, leaving her a lame-duck leader. 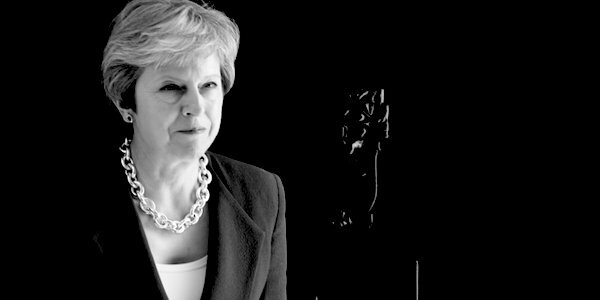 In either case we’d be stuck with her: and in view of the revelations of the past week, Heaven only knows what further damage she could do, to both democracy and Brexit. That takes us to the whole-Parliament option, a Vote of No Confidence on the floor of the Commons. That looks even less likely to unseat May. The DUP would probably continue to support the May government, and as Michael Mossbacher points out in Standpoint, even unreconciled continuity-remainers like Ken Clarke and Anna Soubry have made it clear they would traipse through the Government lobby to defeat the No-Confidence vote. And to initiate such a vote and then lose it would do Corbyn no good, either. So we’re back to the grassroots as the surest method of ending May’s disastrous premiership and replacing her with a genuine Brexiteer Prime Minister and Cabinet. It’s obvious that she won’t go of her own accord, and clear that an internal leadership election restricted to MPs mainly sympathetic to her, in contrast to the membership, might even strengthen her albeit at huge risk to the Tories’ future electoral prospects, which, given her apparent Euro-deference, evidently doesn’t trouble her unduly. So she has to be forced to resign and not re-stand. And it’s out there in the country that the anger with May, the resolution never to vote for her, or even the Tories, again, unless the Brexit for which 17.4million people clearly voted is delivered, is most intense. It’s there that the Conservatives’ local organisation, already rickety, can be near-wrecked, both financially and operationally, by withdrawal of support, subscriptions, and participation. It’s there that pressure can be brought to bear on individual Tory MPs that, unless they persuade her to resign, now, their defeat and subsequent unemployment come the next election is guaranteed. Go to it. There’s little to lose, and everything to gain.